Product #17585 | SKU R15-300 | 0.0 (no ratings yet) Thanks for your rating! Tilta's 12" Threaded 15mm Rod is a 12" rod with female threading on both ends. 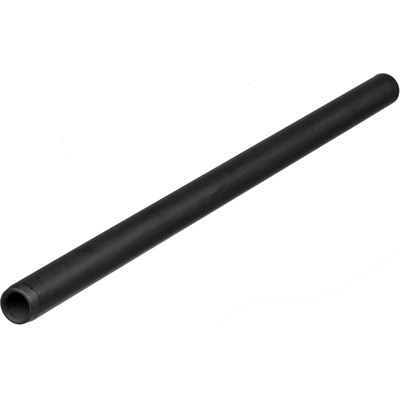 This allows you to use optional threaded rod adapters to extend the length. As a standard practice, Tilta chamfers one end of their rods and leaves the other end with a straight cut. The chamfering makes it easier to slide accessories on the rod, while the end with the straight cut makes for a smoother rod join.